Home / babies / babycleaning waterwipes / care / Mother Sparsh Wipes – As Soft as Mother’s Touch. 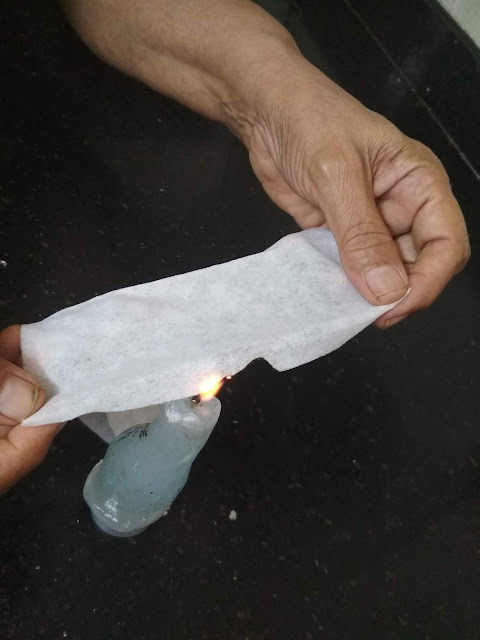 / MotherSparsh / Parenting / Protect / skin / A Flame Test to see how safe are your Baby's wet wipes. 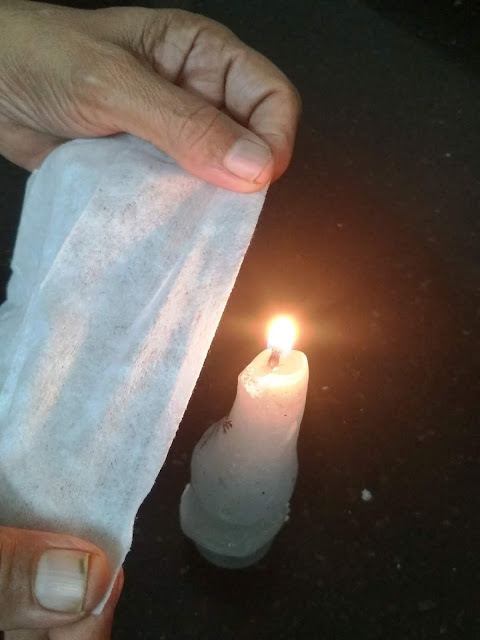 A Flame Test to see how safe are your Baby's wet wipes. A mother is always extra cautious for her child and so she ensures that everything happens at proper time and in a suitable manner. I am sure almost everyone will agree with me on the fact that Motherhood and care goes hand in hand. Today's mothers are well equipped yet the challenges for a new mother are still numerous. I was blessed with a baby girl recently and we became one happy family. Baby wipes are an essential at home with a newborn and truly, they're a necessity when it comes to my kids. They are many such brands in market and many are full of chemicals which is very alarming as it tends to gives skin allergies and rashes to the child. One such thing happened to my baby and I immediately rushed to my pediatrician. The very first thing our doctor told us the moment he saw those inflamed red rashes on my baby’s bottom was to stop using baby wipes immediately. He told me that most baby wipes in the market contain a number of chemicals which is very harmful to a baby’s sensitive skin. He also added that these chemicals were associated with several health risks including cancer, neurotoxicity. I was shocked to hear this fact because majority of the population uses wet wipes to clean hands, faces, worktops, children, and almost everything else nowadays and we are not even aware of the harm it can do. So many people would say – these are only little squares of wet tissue. Aren’t they? In order to solve this confusion I conducted an experiment which my doctor had suggested me and was totally shocked with results after doing it. I just wanted to make sure that the wipes that I am using are natural and chemical-free. I just started following the steps as per what my doctor told. He simply asked us to take a wipe and burn it on a flame and it was just unbelievable what happened next. As we put the wipe on fire, all we could smell from those fumes was of burning plastic. Besides, as the wipe burned there was a black, sticky material that stuck to the sides of the wipe. After this test I just stopped using baby wipes. I switched to only water for cleansing as water was the gentlest and safest option to clean the baby’s bum and one that would not give them any kind of rashes. But the truth is baby wipes are very useful and mothers including me can’t do without them at all. So I used to think that it's really impossible to get a baby wipes brand that was made of 98% water and natural, organic fabric? But then one fine day, my friend recommended ‘Mother Sparsh Baby Wipes’. These wet wipes are formulated specifically keeping in mind a baby’s supple, soft & delicate skin. 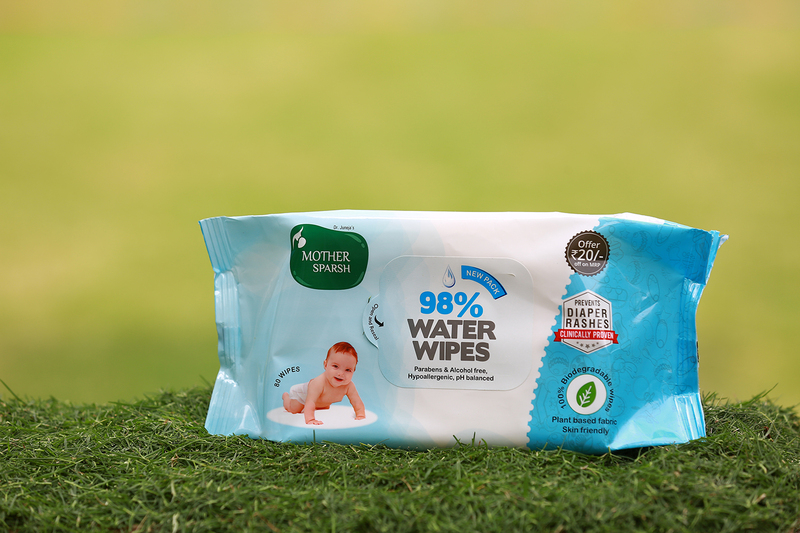 Also, these are the only wipes that contain 98% pure water and aloe Vera extract – a natural moisturizer. Because it is Hypoallergenic, so Mother Sparsh Wet wipes don’t irritate skin instead it cleanses your baby’s sensitive skin without causing uneasiness, allergy and infections. It is also helpful in preventing diaper rash caused due to skin irritation and bacterial infection. Mother Sparsh Wipes are the purest wipes with extra moisture that provide gentle Sparsh to your baby and keeping your little child comfortable, happy & smiling. The fabric of the wipes has a velvety touch that is so soft that it has no side effects and won’t lead to any rashes. Now I can confidently say that Mother Sparsh is India’s best wipes brand that uses 98% of water which is as good as using just cotton and water. Mother Sparsh wipes are biodegradable and help me give the purest care to my baby as well as protect the environment. 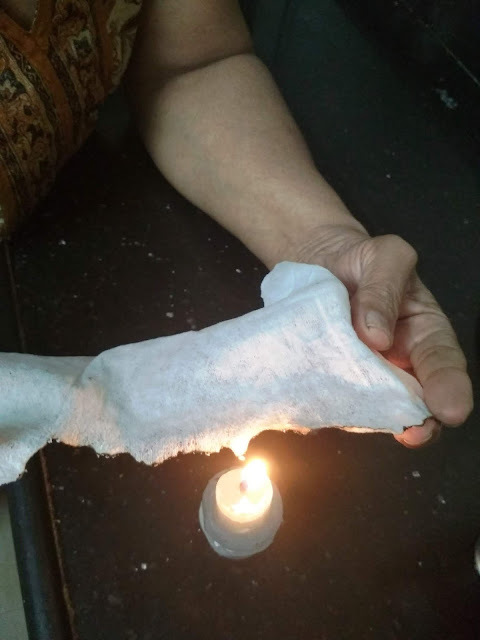 Also, I must mention that I tried the same procedure of burning the wet wipes on Mother Sparsh Baby Wipes and to our delight we found that when upon burning one of their wipes, there was a normal burning smell that you can associate with burning paper or a cotton cloth. Besides that, there was no black stickiness in the corners of the wipe. So these wipes passed the burning test with flying colours. As a mother I am satisfied with the product and I would request all mothers to be extra careful and must test every product that you are using on your little ones. Since hygiene plays an important role for your little one’s health, so it is a good idea to we use cotton & water or Mother Sparsh Wipes which are natural, biodegradable, water-based baby wipes.